Lightning detectors are valuable tools for knowing when to move the barbecue, picnic, or little league baseball team indoors, before the storm arrives. AcuRite offers lightning detection in a variety of configurations. 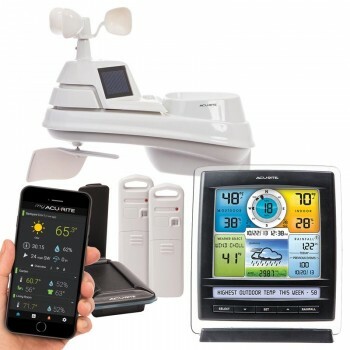 Products include a portable Lightning Detector with storm and lightning alerts, as well as full-featured weather stations that include rainfall tracking, wind speed and direction, and gorgeous high-definition digital displays – your personal in-home weather dashboard. Families need a way to monitor air quality, measure conditions that affect mold and allergens, and prevent environmental damage of their home and valuables, all while maintaining ideal indoor comfort. 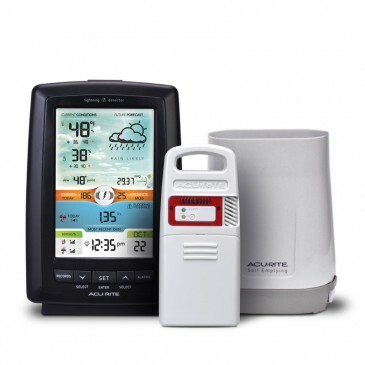 A Smart Home Environment System with My AcuRite acts as your personal home assistant by tracking indoor and outdoor temperature and humidity, detecting water leaks, helping prevent frozen pipes, and more. It can also send alerts to your phone, tablet, and computer when conditions require your immediate attention. My AcuRite Smart Home Environment Systems start at $118.96 MSRP. 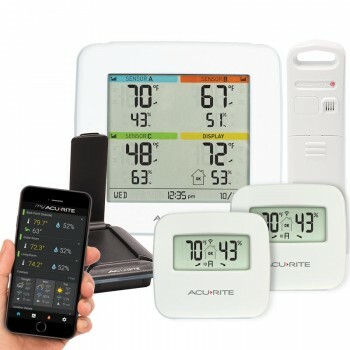 Visit https://www.acurite.com/my-acurite/home-environment-systems.html to see the full array of available sensor and display packages. 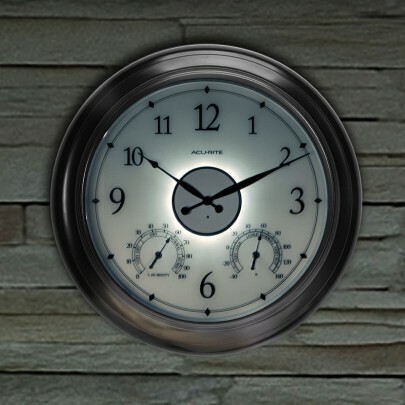 AcuRite’s wide selection of indoor and outdoor clocks beautify any home, patio or garden. AcuRite decorative clocks not only complement your home, they also feature reliable quartz movements. Outdoor models also provide useful information like temperature and humidity. 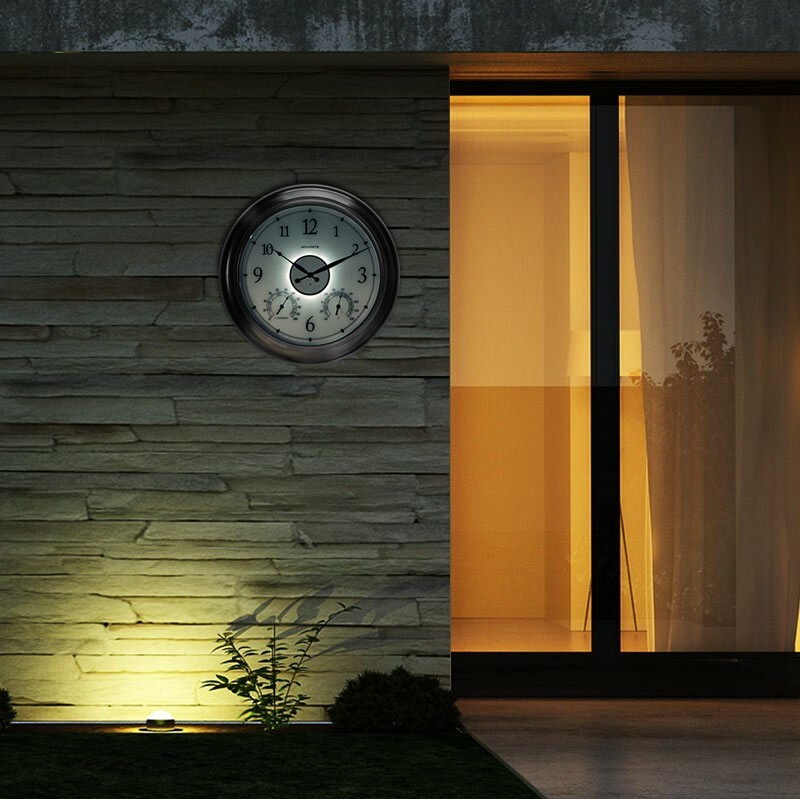 Our newest model, the 24-inch Illuminated Clock, automatically lights up with an ambient glow in low-light conditions. 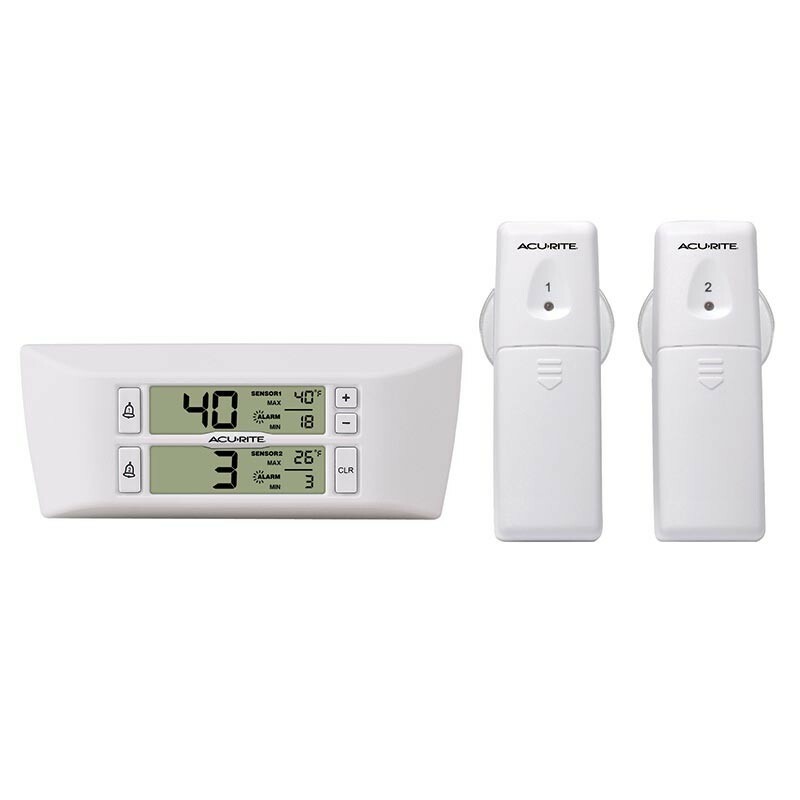 AcuRite projection alarm clocks conveniently shine the time or temperature on the wall or ceiling for easy bedtime viewing. Projection clock features include indoor and outdoor temperature, automatic adjustment for Daylight Saving Time, and even USB charging for your phone while you sleep. For the true weather enthusiast on your list, nothing beats an AcuRite Weather Environment System with My AcuRite.